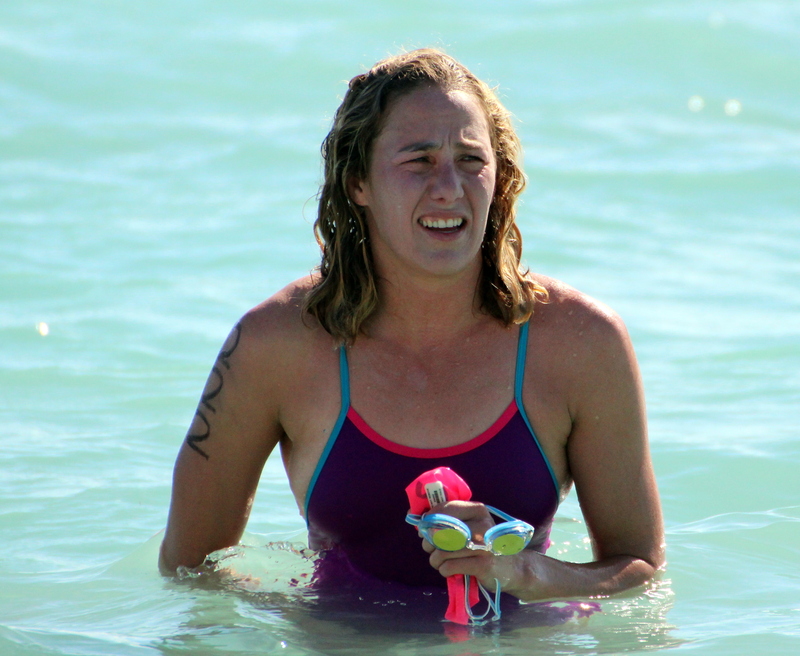 Females dominated the Open Water Bermuda National Championships held at Clearwater. The 5K Open Water Swim was won by Eileen Mullowney who was clocked across the line in a time of 1:13:13, Dan Hugo the husband of Bermuda’s Female Athlete of the year and Former Triathlete World Number One Flora Duffy finished second in 1:21:05. Another big story during the 5K Open Water race, was the fact that Mike Cash swam the distance dragging a Tree Log, Cash would complete the course in a time of 1:35:23. Duffy herself swam to victory in the 1500m Open Water Swim, Duffy was clocked across the line in 20:11, with Brian Desmond second in a time of 21:02. During the 400m Open Water Swim Marleigh Howes clocked the fastest time of 6:04, with Rajan Patton second in 6:14.